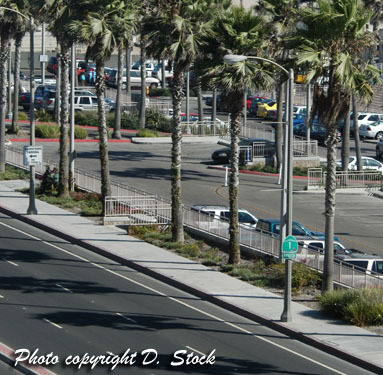 Pictured is beach parking lot south of Huntington Beach Pier. The Park 'n Pay parking lots north and south of the Huntington Beach Pier provide the closest parking to the Huntington Beach Pier and Pier Plaza where free summer concerts are held in Huntington Beach. These parking lots are the closest to Zack's Beach Catering and Concessions (north lot at 6th Street) and Dwight's Concessions and Gift Store (south lot at 2nd Street. Huntington Beach Parking Fees and Costs fluctuate between summer months of late May to early September and winter season of late September to early May. There are numerous parking lots, parking meters and three separate beach operations entities with gated and non-gate lots known as Huntington City Beach, Huntington State Beach and Bolsa Chica State Beach. There is virtually no free parking at the beaches of Huntington Beach though residential streets nearby offer free parking. Those streets require crossing Pacific Coast Highway. From Beach Boulevard to the City limits west, there are 2,400 parking spaces in a public lot in addition to Pacific Coast Highway parking and adjacent streets. Beach curfew is 10 p.m. to 5 a.m. For information: 714-536-5281 Emergencies only: 714-536-2581 or 911. Annual beach parking passes are available January 1 through December 31 for parking in all beach parking lots from Beach Boulevard to the pier. A pass also allows you to park at the off street metered lots on the ocean side of Pacific Coast Highway at Golden West, the Warner Fire Station boat ramp lot and the meters from Beach Boulevard to Bolsa Chica State Beach. Passes are sold at Beach Division Headquarters, 103 Pacific Coast Highway. (see above) Metered street parking costs $0.25 (1 quarter) per 10 minutes. Bring lots of quarters. It takes 6 of them to get you an hour of parking near the beach. How much does it cost to park at the beach' Adjacent to the Huntington Beach Pier, the new lots use Park-N-Pay system during the fall and winter, charged at $1.50 per hour with $15 maximum. A flat fee of $15 is charged during summer months and some special events. Entrances are at First Street and 6th Street. Main Street Promenade Parking Structure Located on the east side of Main Street between Walnut and Olive Streets (near 24 Hour Family Fitness and and Post Office), parking is $1 per 30 minutes with $9 maximum. Use courtesy when parking on non-metered streets near the beach. Parking spaces are usually located in front of residential properties. Please do not leave trash on the sidewalks or lawns, do not walk on the private properties and do not block drive ways. Take note of posted street sweeping schedules. Street sweeping occurs 2 times per month and a citation costs approximately $42. The Sunset Vista RV Park is located within the City Beach parking lot between 1st Street and Huntington Street. It will open in November 2004 to March 2005 (and each year seasonally.) Call (714) 536-5286 for additional information. Reservations are taken one month in advance, either by mail or in person. No phone reservation. Bolsa Chica State Beach extends from Sunset Beach to Huntington City Beach which begins roughly at the bluffs between Seapoint and Warner. A bikeway connects it with Huntington State Beach, seven miles south. Wildlife and bird watching are popular. Across the road from the beach is the 1,000-acre Bolsa Chica Ecological Reserve, operated by the California Department of Fish and Game. The beach is on Pacific Coast Highway, in Huntington Beach between Seapoint Street and Warner Avenue. Latitude/Longitude: 33.6603 / -117.9983 Under the jurisdiction of the State Beaches and Parks, costs are not the same as the City operated parking facilities listed above. This popular beach extends two miles from Beach Boulevard in Huntington Beach south to the Santa Ana River on the Newport Beach boundary. Across from the beach is the 114-acre Huntington Beach Wetlands, operated by the Department of Fish and Game. The beach is located opposite Magnolia Avenue on Pacific Coast Highway. Metered parking is available along Pacific Coast Highway, and in two "bluff-top" lots north of Golden West Street. The City also provides parking for the downtown area in the Main Street Promenade parking structure located on Main Street between Walnut and Olive Streets. The parking fee is hourly with a weekday maximum of $9.00 per day and a weekend and holiday maximum of $12.00 per day. Validated parking is available from participating downtown merchants. Annual parking passes are available for designated downtown and beach locations. The annual passes can be purchased at Lifeguard Headquarters and City Hall. Call (714) 536-5286 for additional information. Additional Parking Garages in Downtown Huntington Beach include Plaza Almeria.